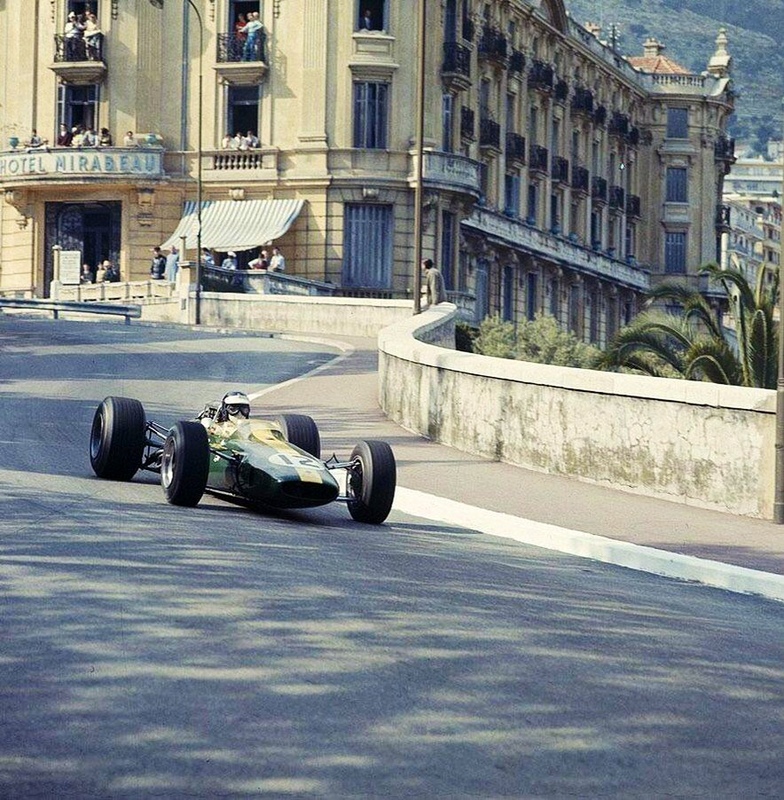 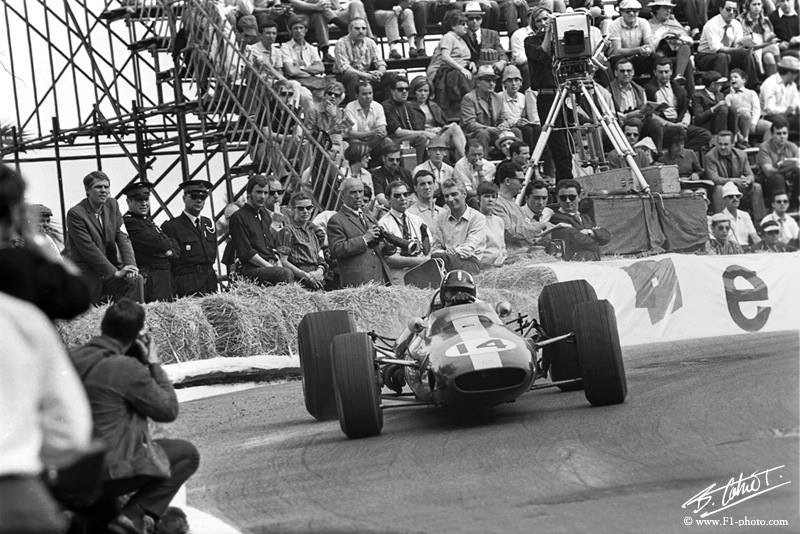 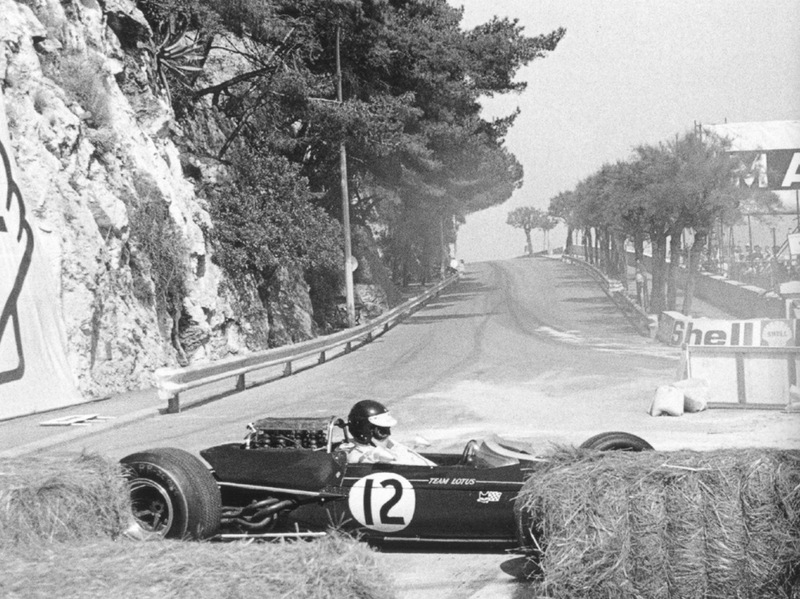 Colin Chapmans’ revolutionary family of cars, the Lotus 25/33 had been kind to Jim, World Championships in 1963 and 1965 in his symbiotic relationship with Chapman, his Team, his Cars. 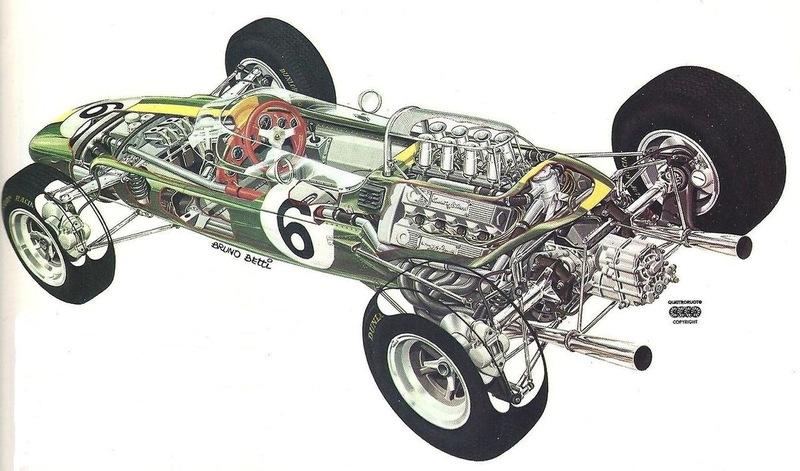 The ’25’, introduced at Zandvoort in 1962 was not the first ‘monocoque’ chassis but it was the first ‘modern one’, all Grand Prix cars, indeed most racing cars can trace their parentage back to the 25 and the trends it set. 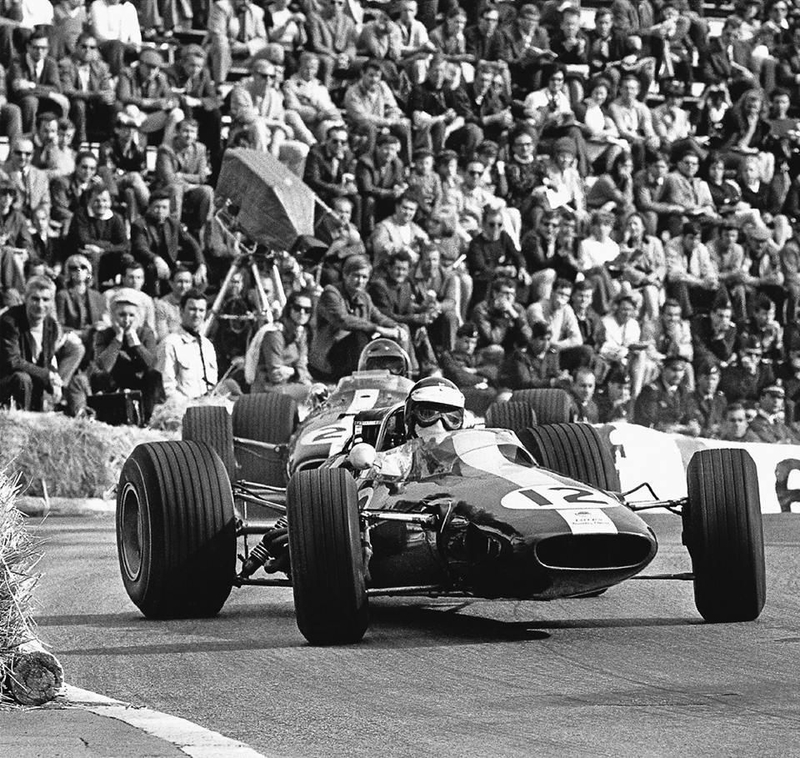 The good ‘ole multi-tubular spaceframe wasn’t dead mind you, Brabham were still winning Grands’ Prix in 1969 with their BT26, but even Brabham changed to aluminium sheet ‘tubs’ in 1970 as the use of ‘bag’ safety fuel tanks effectively precluded spaceframes.